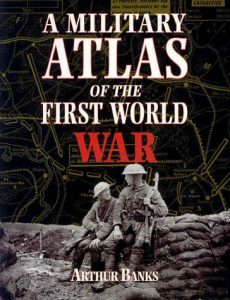 This is a unique study of the conflict of 1914-18 on land, sea and in the air, through maps, diagrams and illustrations. Within the scope of some 250 maps, Arthur Banks has presented both broad general surveys of political and military strategy, and the most closely researched details of major individual campaigns and engagements. These are supplemented by comprehensive analysis of military strengths and command structures and illustrations.